I was interested to see if my mindset has changed, would I still love it as much now that I’ve been to over twenty countries? (Spoiler alert: I do!). I met with my host who gave me the keys and showed me around. I had my own self-contained apartment with air conditioning and wifi for only $30 a night. Before she left she kindly took me out for some street Pad Thai – exactly what I wanted to do when I first arrived! It was so incredible and only cost $1.50! After dinner I was planning on having one refreshing beer (it was a Friday after all) before heading back to the apartment to chill/unpack/work but… I sat down in the bar that was right across from where I was staying for less than 20 seconds before the table next to me invited me to join them… 8 hours later! Well, needless to say, I was a tad hungover today! At lunchtime, I ventured out for a walk along the main roads in search of food. I was out for about an hour and then spent the rest of the afternoon working on my Jakarta travel vlog. 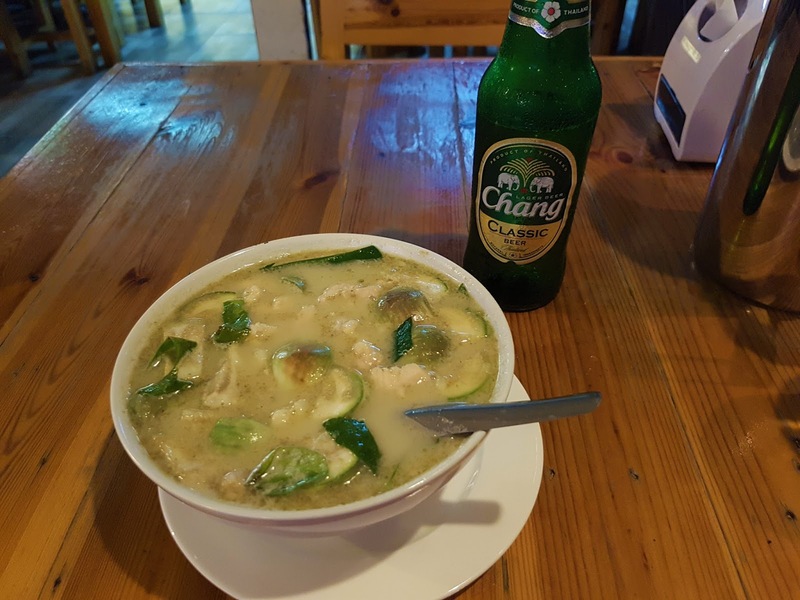 I popped out again later for dinner where I had a spicy green curry and Chang. That night there was an epic electrical storm that I enjoyed watching from my room (it’s rainy season here). Today’s mission was to get a Thai sim card to have data on my phone and to go to the Chatuchak weekend market. 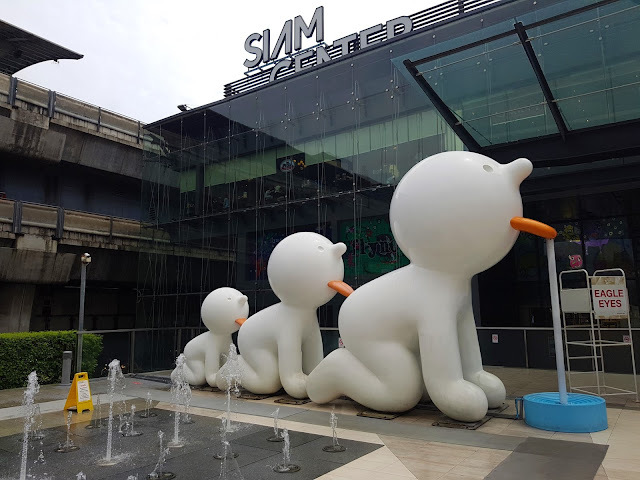 I took an MRT (underground train) and the BTS (sky train) to get to Siam, an area with many big shopping malls. I got a traveller’s sim card with AIS (phone network) for a pretty good price and had a delicious Pad Thai for lunch. I enjoyed walking around, although it was a super hot day. 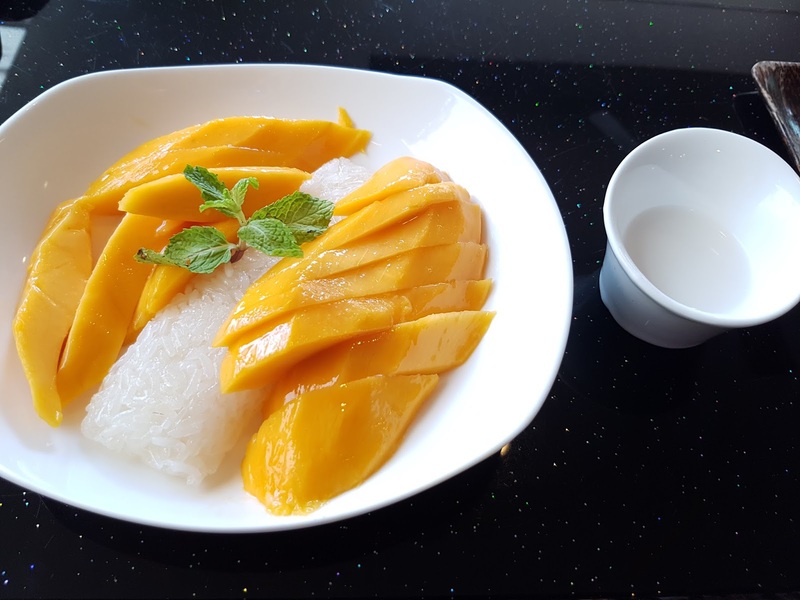 I had my first (of many) mango sticky rice – my ultimate favourite Thai food. I just bought two things, a Chang beer singlet (to add to my collection) and an ‘Adidas’ t-shirt that had a cool print. I got both tops for $10 AUD, pretty sweet shopping trip if you ask me. I had another green curry for dinner (I’m obsessed) and that was the jist of my day. Today was a pretty chill day. There was a nice looking massage place only two minutes walk from me so I popped in there before lunch. A traditional Thai full hour massage only cost $10 and it was absolutely brutal! It’s basically an hour of wondering why you paid someone to torture you. Thai massage works deep into your muscles and pressure points and it hurts so much but you do feel really good afterwards. You just have to get through it! 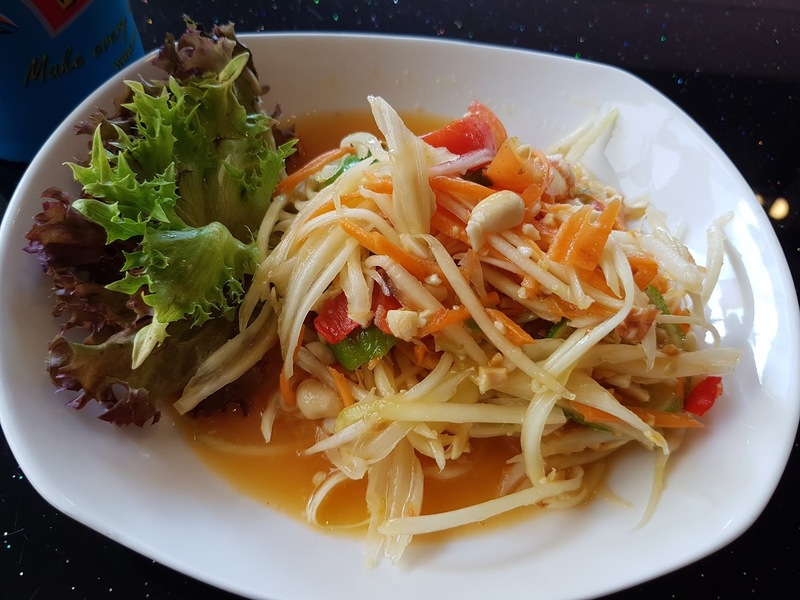 I ordered a spicy papaya salad and mango sticky rice. I was very full afterwards but it was so fresh and delightful! I just love Thai food (if you couldn’t tell). 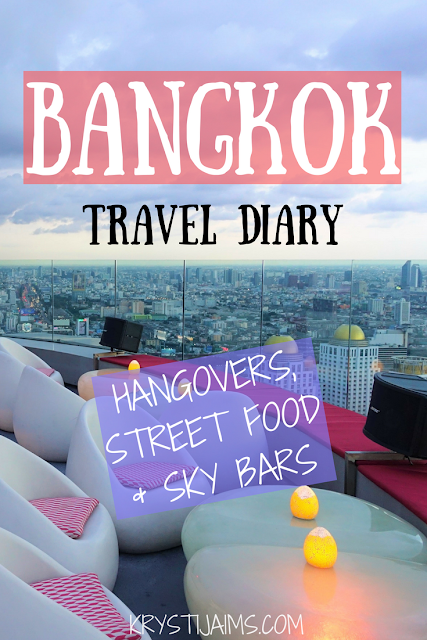 I didn’t feel like going out so I spent the afternoon editing and uploading my first Bangkok vlog which you can view here if you like! For the best part of the day, I cracked on with more work. I had a hotel review to complete and I also spent a couple of hours editing some work for my husband (I’m such a good wife). It was one of the new friends I had met the other night’s birthday so she was having celebratory drinks at the same local bar. I said I was only going to have one beer as it took me more than two days to recover from the last hangover… another 8 hours later… honestly I couldn’t believe it! I looked at my watch and it was 3:30 am this time. I don’t know what it was about this group but the time just disappears around them. I knew if I lived in Bangkok we would be such great friends. 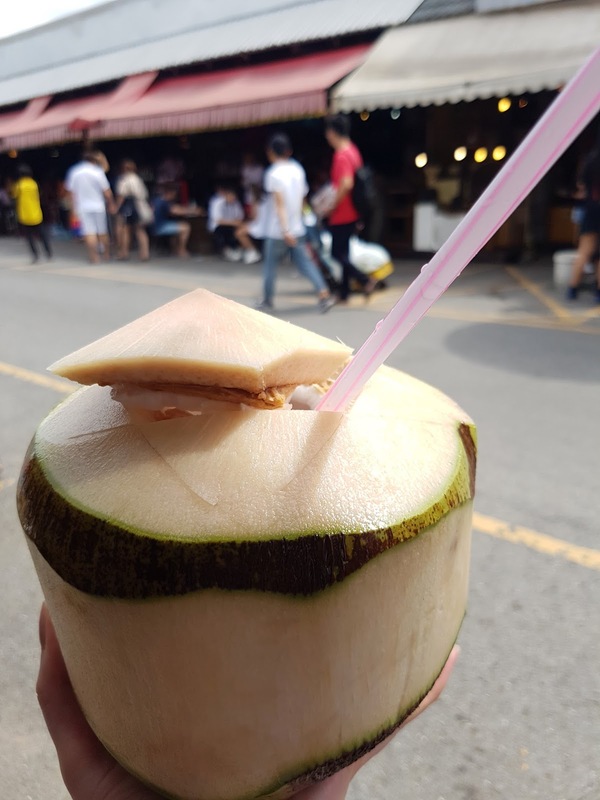 The food tour was excellent, everything we tried was so delicious, except for the durian! What an odd taste and texture… I especially loved the final dessert type dumpling with oozy warm custard in the middle, my god that was heavenly. 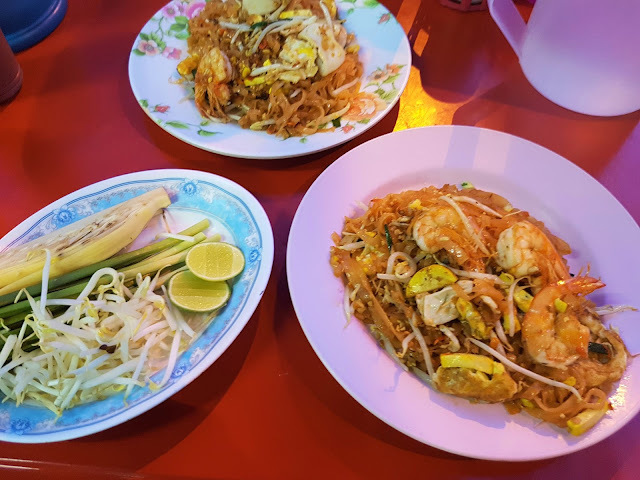 I’ll be writing up a Bangkok food post next with more information on the tour and my favourite/the best things to eat in Bangkok. I got a tuk-tuk back to my apartment which was bumpy but fun. It was a nice way to finish up my time in Bangkok. I feel like I could have easily spent another week there, there is so much to do, it’s incredibly cheap and such an exciting city. I’ll be back sometime soon for sure. 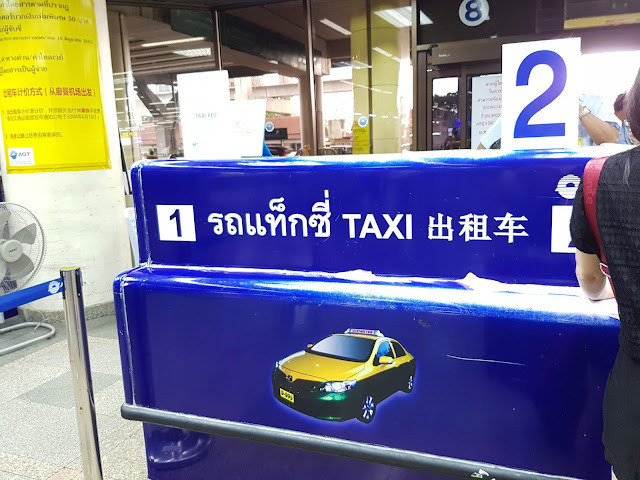 I did want to do more in Bangkok, such as seeing Wat Arun (Temple of Dawn) and going to Lumphini Park (I was staying only a twenty-minute walk away!). But I think I did a reasonable amount of activities and sightseeing whilst juggling work. It’s hard to find a good balance and certainly, I am so behind in keeping up with everything (hence why this Bangkok post is two weeks late!). I’m doing my best and I’m going to try to push out as many blog posts and videos as possible over the next week before I next head to Vietnam!